How to deal with or repair the Nokia 9210 / 9210i which is damaged like the front LCD or the part in blank then the button does not work then the signal does not come out or no speaker does not sound and various other problems are actually very easy.There are several steps to fix the problem on the Nokia 9200 series. The steps to repair the damage to Nokia 9210 must be in accordance with the causes or causes that cause problems or damage to the phone. You cannot and should not be careless in correcting errors that occur without knowing the cause because it can make your telephone unit more damaged. Nokia 9200 series like 9210 then 9210i is an old phone but has a beautiful and charming design. Even though its capabilities are not as sophisticated as smart phones now, with such forms, there are still many old series phone lovers who use the unit. Flexible is a hardware or thin-shaped unit that becomes a connecting current between the upper engine and the bottom engine. Flexible is used so that the lower and upper engines can function normally. The problem is: the line or current from the flexible is cut off (it could be accidentally or not). If this happens, the current that should be connected will be interrupted, of course this will cause disruption to your unit's engine performance. Changing flexibly without proper guidance does have a high risk, namely: your telephone unit WILL NOT be normal. Maybe the damage will be even greater. But you don't need to worry, because the flexion installation process can use your hands or don't need to use a special repair tool (you only need a screwdriver to remove it). What flexibility can be used? The point is: the condition of flexion that you want to use is good and in a new state. 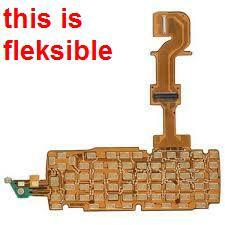 Where is the place to buy a flexible Nokia 9200 series (9210 / i)? Remember, make sure your flex conditions are good and are worth buying. If the damage is on the LCD and you have bought a good flexible (proven), but your LCD still can't function (blank), then you can try to buy a new LCD. This applies to front and rear LCD or parts in that big and wide. Where to buy an LCD? You can use the site as I gave it in point number 1 above. After you are sure to buy a good LCD product, please replace the old LCD with a new one. Usually, the LCD Blank problem is caused by flexible damage. But if you have replaced the flexible with a new one and normal conditions still occur blank, then there is no choice but try replacing your LCD with a new one. This step is done if the damage that occurs is: The button can not be pressed. This problem is also mostly caused by damage to the flexible part. But I say again, if you have bought a new flexible but the damage is still happening, another way is to replace the engine board. Replaced the exterior or inner board? This part replacement follows the damage that occurs. 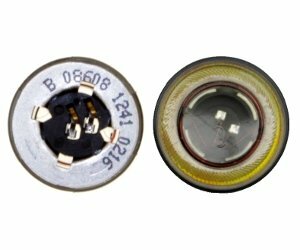 If the button that can't be pressed is the outer button, then you have to buy the outside engine board as well. Likewise, if the button that doesn't work is the inner button, then you have to buy the engine board part in. Other problems are: The speaker is damaged and the mic is damaged. What are the differences between the two? If the speakers are damaged, when you talk, your opponent will hear your words, but if they call you, you cannot hear their voices. If the mic is broken, when you call someone, they can't hear your voice, but you can hear their voices. - For a mic, you have to replace it BUT you have to take it from another machine (because it is very rare to sell it). You can search for a dead machine to take the mic part and move it to your problem phone. The above are various problems that often arise and occur in the Nokia 9200 series which are very beautiful in design and shape. Hopefully with this discussion, your problems can also be resolved well. If you need help and questions, please fill in the comments field or send me an email. Thus the discussion for how to overcome or repair the damage and problems on the Nokia 9200 series like 9210 or 9210i that often happens. Hope it can help you. Thank you for reading, see uu. 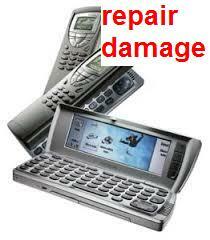 0 komentar untuk How To Repair Damaged Nokia 9210 / 9210i.